Cosy cottage set in the heart of Arkengarthdale just 3 miles from the popular village of Reeth and neighbouring Swaledale. 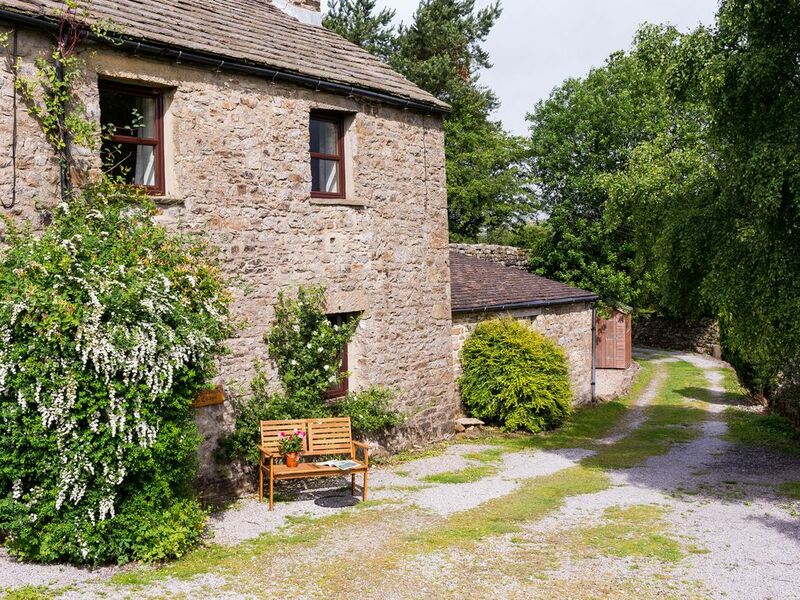 The property has been recently refurbished to a high standard and now offers very comfortable accommodation with delightful views and walks available from the door. Ground Floor: Open plan living, kitchen and dining area with underfloor heating throughout. The kitchen is well equipped with electric oven, ceramic hob, slimline dishwasher, fridge and microwave as well as a steamer and slow cooker. The living area has a log burner, TV with freesat, DVD player and CD player. Bathroom with under floor heating, freestanding Victoriian style bath with shower over, toilet, sink and heated towel rail. Bedroom with king size bed. French doors to gravelled patio area. Upstairs: Large bedroom with zip and link bed. This can be made up either as a super king size, or two single beds. (Please specify preference when booking). En-suite wet room with under floor heating and walk in shower. Walk in cupboard housing washing machine . tumble dryer and boiler. Gravelled patio area with a shed for bike storage..
Electricity and a basket of logs included. We have just spent a long weekend at the cottage. We enjoyed the remote (for the UK) location and absolute peace and quiet. Bring a torch – beyond dark outside. The property was very well maintained, fitted out to a good standard and had everything we needed. We loved the log burner in the lounge/kitchen. The bathroom was fantastic styled and set out very well, we have nothing but positive things to say about the cottage. We have said that if we get the chance we would be back in spring or summer when hopefully the weather would be a bit kinder. Location is fantastic. With over 40 years of booking holiday cottages, this cottage has been the nicest I've spent time in. I realise that observations are subjective, but this cottage; well designed, comfortable, cosy, well equipped and in stunning landscape provided the ideal retreat. The cottage has everything you would expect for a comfortable stay. It was very homely and a joy to come back to at the end of the day. The welcome pack was a lovely thought and we all enjoyed it.The bath and shower were wonderful, even our children enjoyed getting into them! The location is quite remote but that is something we like. If you have a dog there are great walks from the doorstep and they are welcome at the local pub in the bar area. The C B Inn is well worth a visit and easy walking from the cottage, many reviews say it is overpriced but we thought it was reasonable and the actual pub is great. We had a great few days here exploring the Yorkshire Dales and if your a fan of the tv series ‘All Creatures Great and Small’, there are many areas very close that were used in the series! A great cottage in a great area, highly recommended. This really is a wonderful place to stay; very luxurious and absolute heaven after a long day walking through the dales. The owner has been very considerate and provided everything you could possibly need for a good stay including a very thoughtful welcome basket. We brought our Labrador who thought the underfloor heating was marvellous. From every window there is a stunning view and we loved the peace and quiet the area provided. The walking from here really is perfect and we really enjoyed eating in the restaurants and pubs in nearby Reeth. We hope to come again in the future and we would very much want to stay in Swallowholme Cottage again.